National Volunteer Week is a time to recognize, celebrate and thank Canada’s 13.3 million volunteers! Here at home, there are so many fantastic volunteers who help to build our communities by giving generously of their time & talents. This week, Todayville in partnership with Volunteer Central is profiling several incredible volunteer initiatives. 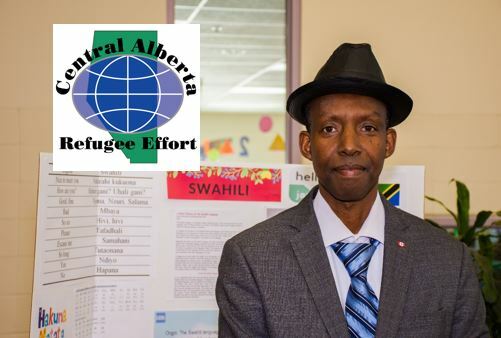 Today we’re taking a closer look at the Central Alberta Refugee Effort (C.A.R.E.) and one of it’s volunteers. Bigazi Nsanzabera has been a volunteer with C.A.R.E. for almost 2 years. In that time, he has volunteered with the Public Awareness program at various events. C.A.R.E. says volunteers like Bigazi are such a treasure not only for the organization, but also for the community. The organization says Bigazi is full of compassion and knowledge and that his willingness to share this knowledge with students and community members is amazing to watch. He is able to connect with the students not only in English but also in French, and of course his teaching skills come into play to deliver the message. Which is no surprise, as his professional background is in teaching. Bigazi is always willing and ready to help, he sees this as an opportunity to give back to the community. The schools, the community and especially C.A.R.E. appreciates his work and dedication to volunteering. Interested in volunteering with C.A.R.E.? Click here for all the information you’ll need to share your unique talents, passion, knowledge and time to ensure the successful integration of newcomer immigrants and refugees. C.A.R.E. was formed in 1979 by a group of concerned citizens who wanted to assist with the settlement of Indochinese refugees fleeing the aftermath of the Vietnam War. A year later, C.A.R.E. became a registered non-profit society. In 1982 it received status as a charitable organization. Since our founding, our mission has been to assist in the settlement and integration of immigrants and refugees in the community. Our office is fragrance free. Thank you for not wearing scented products when visiting our office. 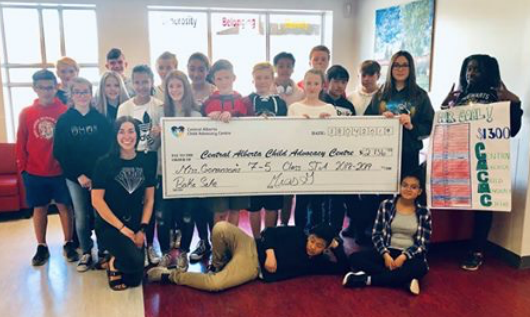 Through our comprehensive website, convenient downtown location, and relevant programs and workshops, we connect volunteers, non-profit organizations, and businesses to create successful volunteer relationships in Central Alberta. Breaking News.. ND / Reporter comes out from behind the camera to steal the spotlight!